This is part 5 of my Weekend Trip to Philly series. 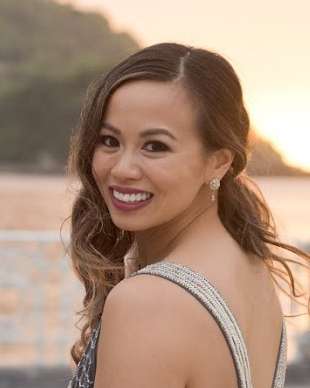 Previous posts include Philly Cheesesteak in Philly (Pat's vs. Geno's), Best of Philadelphia: Reading Terminal, DiNic's, Famous 4th St Cookies, Tinto Restaurant by Iron Chef Jose Garces and Beau Monde, The Franklin Fountain & Monk's Cafe. On a recent two-day Philly foodie trip, my friends and I made our very first stop at Pat's and Geno's to compare the two famous hot spots for Philly Cheesesteaks. Pat's is the spot that "invented" the cheesesteak and Geno's strategically opened right across the street from Pat's for increased publicity, and claims they perfected the sandwich. 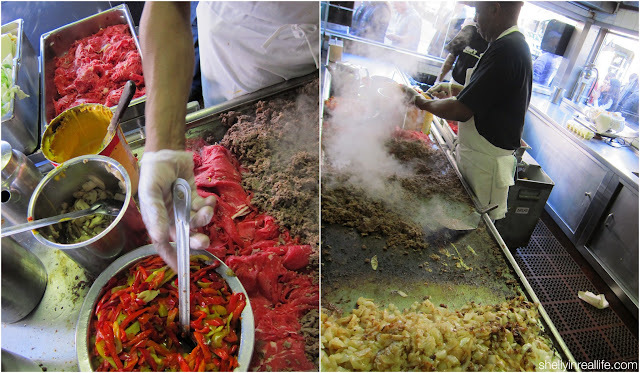 While Pat's and Geno's are the most well known, another favorite in the community is Jim's Steaks on South Street. Jim's opened up 9 years after Pat's, and has been around since 1939. With so much hype around Jim's serving the best Philly's cheesesteak and not Pat's or Geno's, we had to give it a try. After brunch at Beau Monde, we took a quick 5 minute walk to grab some Jim's cheesesteaks. We got there at 1:30pm on a Sunday and was surprised by the long line. It took us 30 minutes before we got our hands on a cheesesteak. This was very different from Pat's and Geno's where we only waited less than 5-10 minutes in line. Also, unlike Pat's and Geno's, Jim's isn't open 24/7. 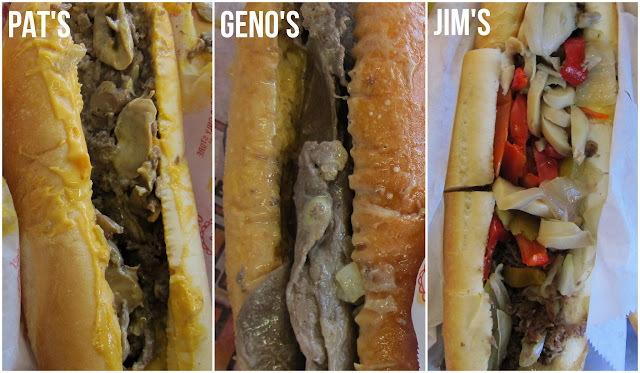 Right away we noticed a few differences between Pat's and Geno's versus Jim's. First, Jim's had a huge line, and that line went into a longer line inside the shop itself. So after getting into the building, we waited another 15 minutes before we got to the front of the line. There was a more variety of toppings at Jim's - with the addition of the sandwiches with eggs and even a meatless option. The price was just a tad cheaper than Pat's and Geno's, but only by a dollar or so. Right by the corner of the counter, we saw this machine slicing pieces of beef from a huge chunk of beef. 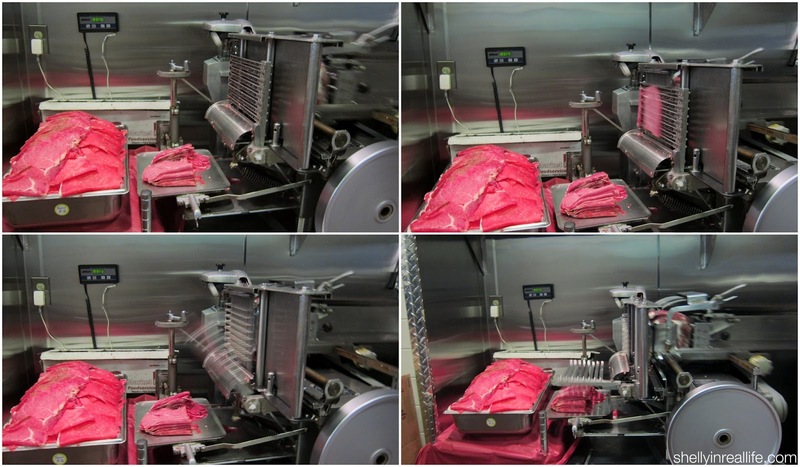 It was really exciting to see this machine systematically slicing the beef and seeing the metal throw the piece of meat down as it cooked it. The steak at Jim's is chopped into tiny pieces instead of whole pieces like at Pat's and Geno's. Slices of beef are cooked on the grill top and the cook chops up the beef habachi style with his spatula. Reminds me of how a Japanese habachi chef chops up the meat and fried rice on a teppanyaki grill. I have to say that the staff at Jim's was a lot more mean than those at Pat's and Geno's. I know that attitude is supposed to come on the side of your cheesesteak, but it was a bit intimidating to order from someone who didn't really care to give you the time of day. We went ahead and ordered our staple: three cheesesteaks, two with provolone and one with cheez whiz. So how did the cheesesteak stack up against some of it's competition? 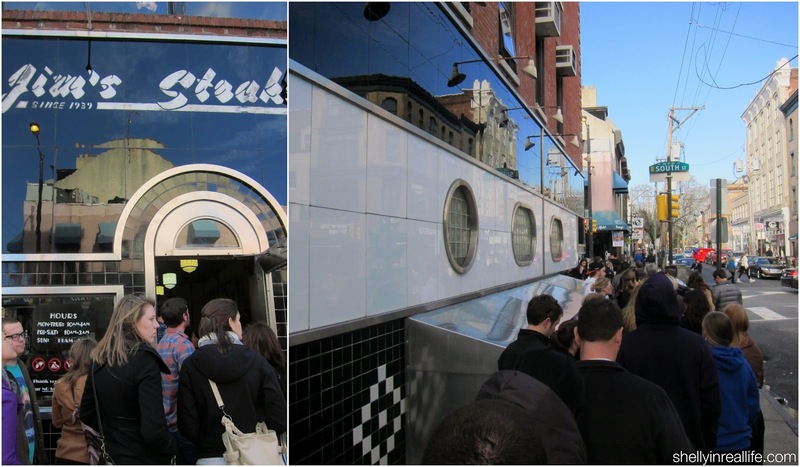 Also be sure to check out the post on Pat's versus Geno's. The cheesesteak at Jim's had bread that was noticeably thicker than at the other two, which was good because the sandwich had so much juice coming out of it. I thought the toppings such as the peppers and mushrooms weren't really necessary and didn't add to the sandwich as much as I would have liked. Also, if you recall the images above where I showed you where the sandwiches were made. It seemed like the mushrooms came straight from a can. So with some post-analysis with the help of these pictures, it helps explain why I thought the sandwich was SO BLAND. As we were checking out, I noticed the guys were making sandwiches for other cooks who were taking off. I noticed that the sandwich was then salted heavily and also had loads of ketchup added to it. Maybe that's how I should have eaten my cheesesteak too since that's how the staff was eating it. Cheez Whiz on a cheesesteak all the way, it's not the same without it! All in all, I might have liked the cheesesteak a bit better than Geno's, but I wouldn't say by much. Even with the cheez whiz, the sandwich felt bland to me and I wasn't too impressed. Then, if you add on the extra wait time of Jim's over Pat's or Geno's, then it's a dealbreaker for me. I wouldn't come back unless I wanted to try it for the novelty. If it's consolation, Yelpers have been saying that the Jim's sandwiches that they've had lately (in 2013) seems to have been noticeably decreasing in quality even though it looks like they're doing everything the same. So who knows, maybe there's some truth to that and that Jim's in its heyday was much better than it's competition. Readers, have you tried a cheesesteak in Philly? What's your favorite place and what toppings and cheese do you like?